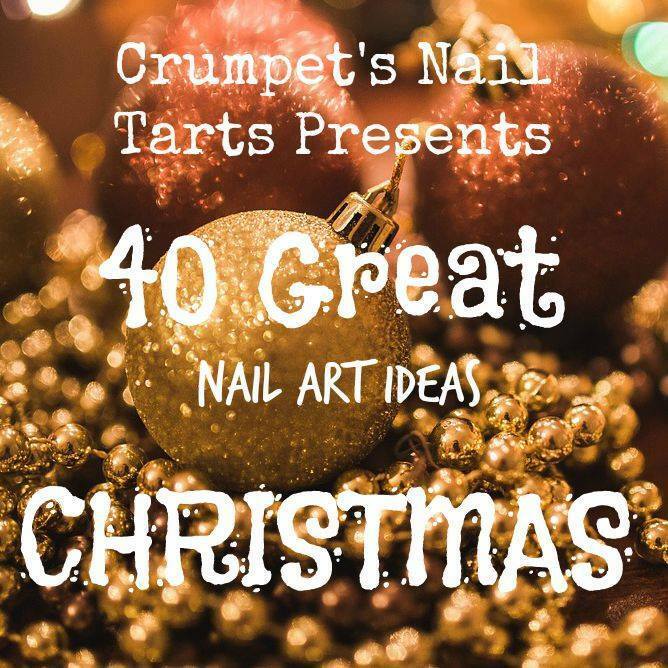 So now that Christmas is over, it's straight into nail art for the New Year. I also have to report that I'm feeling some nail art mojo returning. I'm thinking it was my stressful weeks at work that were wearing me out, and this time off over the Christmas/New Year period is going to recharge me nicely! 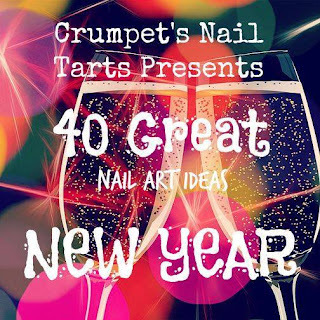 This weeks prompt in the 40 great nail art ideas is New Year and I have to say I'm pretty damn impressed with how good these turned out. 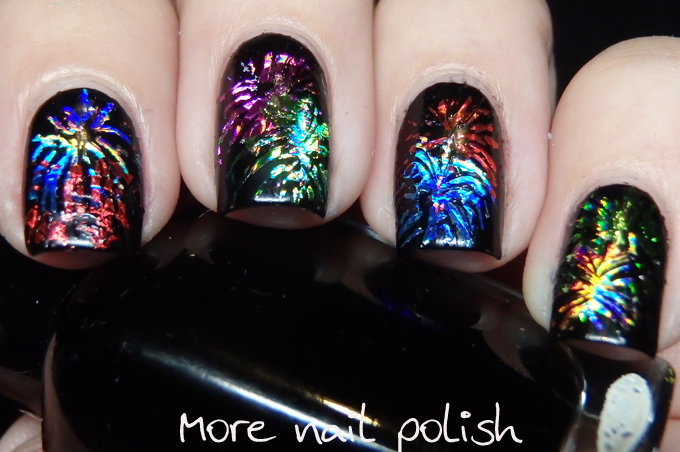 I started with a plain black base and tried to do some stamping with foils. 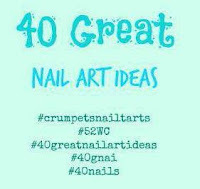 The idea is that you stamp like usual, and then working really fast you pretty the foil onto you nail and it will stick to the stamped image. That was a total fail and I didn't manage to transfer anything. 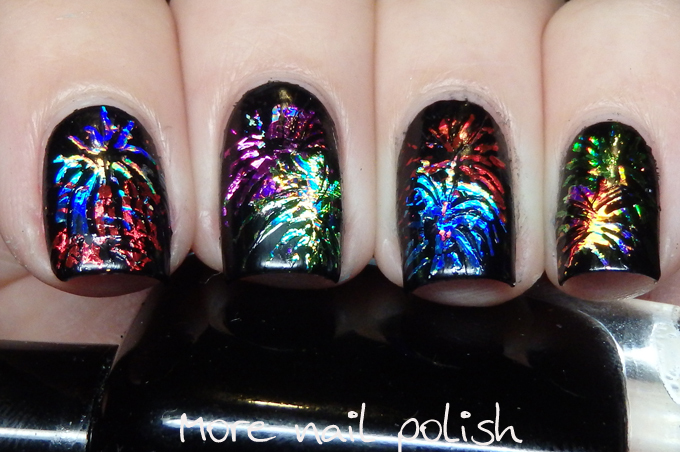 All I ended up doing was transferring my stamped image on to the back of the nail art foil. 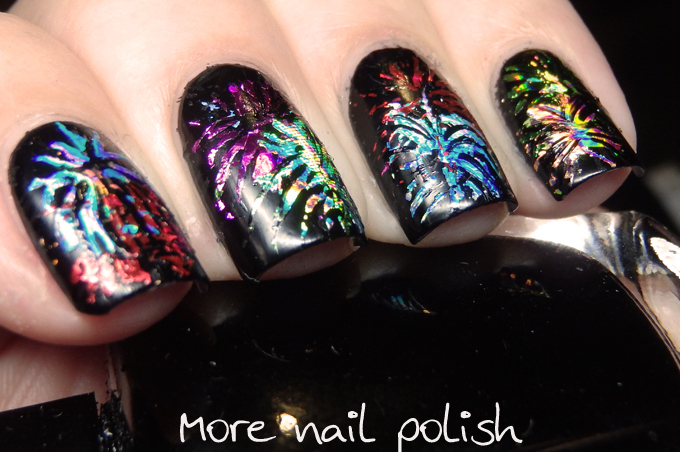 So then I grabbed out my nail art foil glue and used a fine brush to paint on the firework lines. I then pressed the foil onto them. 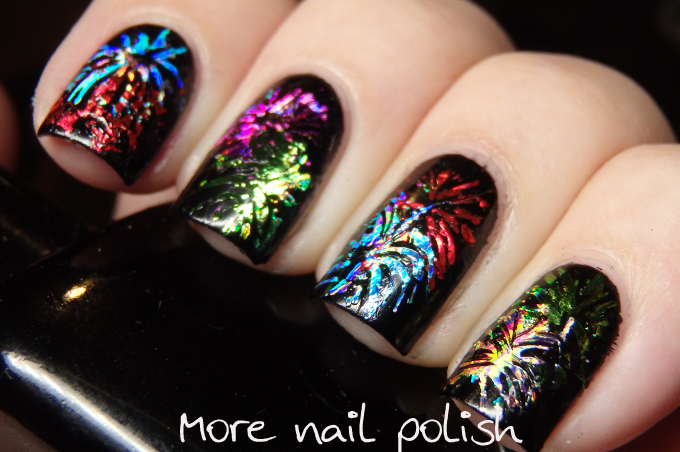 I did this twice on each nail using two colours of foil, plus each foil was holographic, which is why you see more than just one colour per firework. I have to say that these photos are prior to top coat, cause they just looked amazing. When I added top coat I lost some of the holographic appearance, but they still looked pretty good and they didn't wrinkle. I used two coats of Ulta3 clear and then a layer of Seche Vite. These turned out amazing!! You gotta love when experimenting works out so great!